The need to redefine the HR role becomes more pressing with the passing of time. We live in a change of era, rather than in an era of change: we hear this more and more every day. And this isn’t a dramatic prediction but a well founded and objective statement. This change of era will impact directly on the survival of the HR discipline. This post is not about the reasons that justify why HR must start working thoroughly on its reinvention or redefinition. 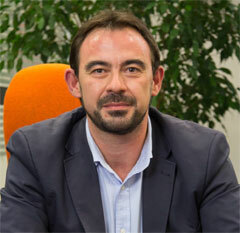 To appreciate the real need for such a change, I suggest you read in detail the monograph written by Santiago Garcia published in the December edition of the magazine ‘Nuevas Tendencias’. This text, which in fact I have just read, has acted as a major influence for this post. It would not only be unnecessary but almost impossible to explain better than Santiago the reasons why HR must start working as soon as possible (urgently I would even say) on its reinvention and redefinition as an organizational function. I therefore strongly encourage you to read the monograph “10 reasons why HR needs a change”. This post takes for granted the rationale behind the above mentioned monograph. I do fully endorse it. As from here, the key point is not why? But what type of role HR professionals will play within the transformation process of their own function? And finally, how this role will be varying on the level of regression –evolution of the Organization? A new Human Resources DNA is needed which will create a new value proposition aligned with the new social, economical and technological environment. A new HR DNA able to develop new roles within new organizational structures that will function under new time and space working dimensions inspired by a transformational leadership style. This is the organizational horizon which we are moving towards. 1. If the HR professional understands and embraces the fact that this new environment is not a utopia. 2. If, once this framework is assumed as something real and feasible, there exists the will to lead and drive the auto-transformation. We are talking about two essential requirements to make the transformation a reality. If both premises are fulfilled, the transformation will happen. On the other hand, if these two premises go unfulfilled, the HR role will be marginalized and will actually end up excluding itself from the environment towards which we are currently heading at great speed. Nevertheless, the role that the HR discipline will perform in this transformation process,- taking for granted the assumption of the two above mentioned premises- , might vary depending on the degree of evolution and implication of each organization. The ideal scenario would be an organization that understands the music chords of the transformation understanding that the technological, economical and social changes they are facing will demand a review of their business models, a new way of establishing relationship with their stakeholders, and consequently a new HR driving style in order to prepare the organization for the new framework. These organizations therefore are those that welcome and are proactively looking for a transformation in HR. Enveloped in the organizational inertia, the transformation will take place at least in parallel to the business model evolution, the knowledge management and the, most likely, transformation leadership style. On the other hand, there are organizations which are located on the other extreme of this evolution – regression HR ordinate axis. There are organizations whose reaction towards the fast paced technological, social and economical change has been regressive. They have not understood the music chords of the changes. Their reaction has focused on fixing mechanisms and processes to protect themselves from uncertainty and changes. The micro management and control mechanisms, the rigid reporting lines, the need for limiting responsibilities and tasks to keep the feeling of having everything under control, the increasing number of cost reduction policies intended to guarantee short time goal achievement… All these aspects are contributing to transform Human Resources into a function which far from evolving has entered a regressive path. Just few years ago, the vast majority of organizations were dazzled by the economical growing environment and blinded by the healthy economy. At that time most companies were building up flexible and open environments in terms of knowledge management as well as (generally speaking) boosting the human capital development of the organization. Since then however, all these companies with their cool HR policies have suddenly been forced to brake. This unexpected maneuver has not only halted the speed of the business and the corresponding human capital development policies; more than that, it has made them ready to move in the wrong direction. As a result of the economical recession, a wide number of organizations have focused on short term results achievement lead by a theoretically survival spirit. Cutting, reducing, freezing most of human resources programs and investments are now part of the normal day to day of those HR departments that just a few years ago were investing like crazy in talent retention. That theoretically correct survival spirit has now placed Human Resources in front of an enormous crossroads never seen before. In one direction there is a non-explored path. This direction defines the route of the transformation. Nevertheless, the choice of this path within a regressive organization would imply the HR function is perceived as a misunderstood teenager, as a kind of rebel without cause. This option reflects an HR role that in all senses will have to go against the status quo. Being realistic, the probabilities of HR reaching the finish line of the transformation are quite low, unless the whole organization decides to start navigating the business model transformation path, obliged, most likely by the social and technological storm. The other direction is a path that we were (as a role) actually coming from, but that now we have been invited to take going off in the wrong way down a one-way street. In this case it is easier to predict the outcome of this choice. We can easily estimate that, by driving in the wrong direction represented by the environmental changes, by applying regressive HR management practices, therefore, going against our own inclination to change, the result will be a crash. This head on crash will cause severe damage: the loss of talent and key staff, a significant reduction in the level of employee engagement, and on top of everything, carried out with the emotional fatigue of the whole organization behind it. It is not unrealistic to expect a dramatic reduction in productivity and company competitiveness. The crash resulting in driving HR the wrong way down a one way road of changes will be unavoidable. It will just be a matter of time; it will only depend on the ability to avoid obstacles, but we will always drive to the limit. The HR role is going through a very stressful time. Those advanced organizations in terms of their own business model evolution will be where the HR transformation will occur at first and will be the mirror that other organizations should look at. These evolutionary organizations will have contributed to the birth of a new wave of HR professionals. There are already some examples and business cases of organizations that have created their own business model and areas of reinvention in HR, but they are still are very few. It is a process that will take time and that will progressively impact on the HR role. 1.- To lead its own transformation within the framework of a regressive organization. 2.- To lead the function to the limit, eventually creating a crash caused by driving HR against the economical, technological and social changes of the environment. 3.- To contribute to the HR discipline transformation acting as a main organizational change agent in those organizations that will welcome and demand a new HR role adjusted to the new environment. We are indeed experiencing challenging times for HR. 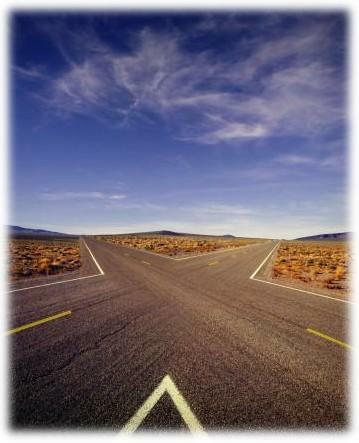 But, after evaluating the alternatives and my own reflection, I am struggling to decide if the HR discipline is actually in front of a real crossroads… or not.